For most college students, it is difficult to cope with early morning wakeups. For this reason, pushing a snooze button is the most frequently repeated morning activity for most of them. However, few students know the negative side effects of those extra 10-15 munities, or even an hour, of sleep in the morning. This additional time doesn’t help you catch on your sleep; it actually disrupts it and makes you feel drowsy during the day. So, try using an alarm clock without a snooze button and leave your cozy bed as soon as it rings. In addition, follow three simple recommendations listed below and you will start getting high-quality night rest and wake up fresh and sound in the morning! Try to wake up naturally. The most natural way to wake up is to do it during your lightest sleep cycle. If you wake up at this stage, you will feel very fresh and rested. To ensure this, you can use some of the innovative devices that appear here and there today. It can be any device that catches your lightest sleep stage in the morning and uses it to wake you up. This device can be something you need to wear or keep on your bed-side table. Research the market and choose the one that suits you the best. Lock the door and turn the lights down. Make sure that your room is quiet and dark in the evenings. Don’t get too much light before bedtime as it can increase your alertness and disrupt your ability to fall asleep. The same can be said about using your phone, watching TV or scrolling social networks just before bedtime. Better don’t do this to get less light and more chance to sleep well. Establish a good sleep routine for your health benefits. Even if you don’t like the word “routine,” it is a good thing to do to help your body get its internal clock going. Try to exclude as many disruptive factors as you can, especially in the evening. Do some relaxation activities before going to bed. Maintain a consistent sleep-and-wake schedule (which is going to sleep and waking up at the same time every day, even on weekends). These habits will certainly improve your sleep and help you in everything you. 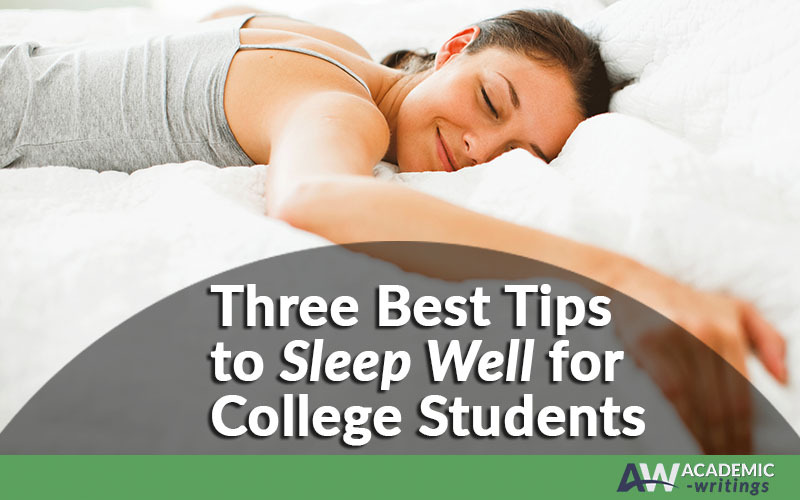 We all need sleep, and especially college students do. So, take a close and critical look at the way you sleep, as well as at the things you do in the evening and in the morning. Define what habits harm your sleep and replace them with healthier habits. Remember that your low- or high-quality night rest totally depends on you!